See our facebook page for June 18th Forum Article regarding affordable first homes. The year 2017 marks the 25th year J&L Construction has been building homes in the Fargo – Moorhead and surrounding area. J&L takes pride in building a quality home yet maintaining the most affordable product. Taking a neighborhood approach to building, we start one end of a street with bare ground, and progressively build toward the other end. Preparing a move in ready home for our buyers in a fully completed community. Passion for providing an affordable starter home for young families was key to the decision to found J&L. With a vision to build homes for both first time buyers and those who wanted to downsize, they looked for dedicated subcontractors and suppliers to come alongside that goal. J&L’s subcontractors are the backbone to the efficient building process, and loyalty to and trust in their subs is part of J&L’s business model. Together with their subs, J&L has built over 2000 homes in the area. Besides valuing your time and your money, our project managers value nature. Recognizing that even the smallest construction project can have an impact, we are leading the effort to keep our building sites as free of debris as possible and complying with environmental policy. Jim Doeden co-founded J&L Construction in 1992. But his construction career started long before at the age of 18. Starting as a laborer in the drywall industry Jim eventually worked thru every aspect of construction. He gained a great appreciation and respect for the skills of each construction trade, and laid the groundwork for what would later become J&L Construction. He believed process driven scheduling and logistical management to be the key concepts behind building an affordable home without sacrificing quality. 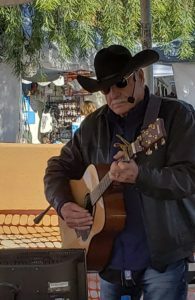 Often Jim can be found performing with his smooth baritone voice and acoustic guitar at venues wherever he goes, as he is also passionate about music. He is quick to find something to smile about, deliberate in his business decisions and loyal to all who work with him and for him.